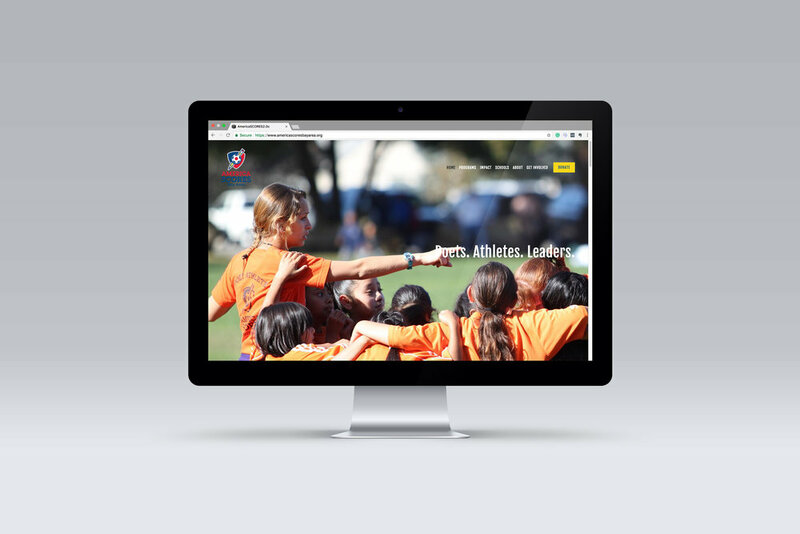 America SCORES, a free after-school program offered at Bay Area public schools, was in need of consistent marketing collateral and a new website to engage donors, funders, parents, schools and students. Their triple play of poetry, soccer, and service learning has been giving students the support, confidence, and vision to meet new challenges and chart their own futures in a joyful way since 2001. The kids call themselves 'Poet-Athletes'. We worked closely with the executive team to ensure we stay true to their message, and understand their purpose in all detail. We always created a rough version that was printed at low cost to be shown to stakeholders and other people to verify that the message and style work hand in hand. The goal was to develop a cohesive look and succinctly communicate the impact SCORES has had over the past 15 years. Visually telling the story of joy, empowerment and engagement, allowed us to integrate their amazing imagery with testimonials from parents, kids and celebrities. This way SCORES didn't have to say how amazing they are, the story was told for them. Everything centers on the user experience, so that flipping through a pamphlet, looking at a postcard or the website would create a positive and joyous feeling in the reader. On all 12 pages we purely use a mix of kids' poems, scientifically measured results, testimonials or stories told by parents, as well as the images speak for themselves. In this case we took the concept the furthest. Bay Area Scores goes beyond providing after-school programs, they are committed to changing asphalt playgrounds into safe play spaces for children around the Bay Area to be used daily by students for PE, recess, after-school-programs and they are even accessible on weekends for the entire community to enjoy. We created a multipage pamphlet to fundraise donations and sponsorships from big donors, as well as poster and flyers to garner donations from the local communities at each location. This does not only generate money, it also builds engagement, ownership and commitment in the community.